Exercising freedom for all humanity is a necessary step. Exercising freedom for all humanity starts with you, right where you are. Exercising freedom for all humanity can be done peacefully. Exercising freedom for all humanity can be life affirming. 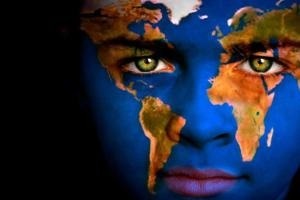 Exercising freedom for all humanity does not include suppression of any group, caste, nor class of people of the earth. Exercising freedom for all humanity is an expression of life, liberty and the pursuit of happiness. Exercising freedom for all humanity places all people before things. Exercising freedom for all humanity places all people before greed and base addictions. Exercising freedom for all humanity places all people before the tasks at hand. Exercising freedom for all humanity places all people before work and employment. Exercising freedom for all humanity places all people before money, materialism and consumerism. Exercising freedom for all humanity places all people before all forms of pride: individual, family, corporate, civic, social, national, and global. Exercising freedom for all humanity places highest value in the life of all human beings everywhere, in every country, because we are made and the Earth is made in the image and likeness of God. Exercising freedom for all humanity recognizes equality among all human beings regardless of race, color, creed, gender, age, ideology, education, political expression or employment. Exercising freedom for all humanity heals all spiritual divisions by tolerance and the practice of true love. Exercising freedom for all humanity is different from the mock appearance of freedom that promotes anarchy and division driven by fear, lower emotions, and pure ego. Exercising freedom for all humanity unifies the vast array of human potential. Exercising freedom for all humanity is solution oriented in human concerns and expressions. Exercising freedom for all humanity recognizes similar traits of human equality across the globe. Exercising freedom for all humanity values the voice and speech of all human beings who wish to be heard. Exercising freedom for all humanity promotes peace on all levels. Exercising freedom for all humanity promotes understanding of the multi-facets of human opinions. Exercising freedom for all humanity promotes life-giving and life-affirming possibilities to conflict. Exercising freedom for all humanity promotes the value, and life-giving spirit of each and every human individual. Exercising freedom for all humanity promotes equality in all nations. Exercising freedom for all humanity promotes education and empathy in loving guidance and affirmation. Exercising freedom for all humanity promotes justice in life-affirming ways and concepts. Exercising freedom for all humanity liberates mind, body and spirit of individuals, families, communities, countries and the world. Exercising freedom for all humanity frees each individual from fear of mental, emotional, spiritual, and physical harm. Exercising freedom for all humanity liberates all humanity from the illusion of lack and disempowerment. Exercising freedom for all humanity is the beginning of healing, one individual at a time. Basic Master Workshop is a prerequisite for the Basic Master Teacher Workshop ~ September 26-30, 2019 ~ 40 hour/5 day ~ $580. All classes are certification courses of the worldwide School of Esoteric Sciences. Register at linhourihan@yahoo.com. An $80 deposit is due 30 days prior to each workshop. Checks and credit card payments are accepted. Checks may be mailed to: Lin Hourihan, PO Box 75, Fiskdale, MA 01518. Credit card payments may be made through: https://PayPal.me.LinHourihan. Check out the worldwide NPMDT website at: https://www.new-paradigm-mdt.org/all-teachers/. I Am that I Am, Lin. In this life I have learned many forms of personal transformation, which often results in healing, the most valuable being forms of Love and Light. All modalities are all listed below. Rather than seeing them as separate studies, it is more accurate to view them as different facets on the same Diamond of God fully integrated. Through my I Am Presence, in union with Divine Will (which from here on I will refer to as I AM), I work as a New Paradigm Multidimensional Transformation (NPMDT) Master Teacher. The workshops I teach include: 13D MDT, Basic Master and Basic Master Teacher. The 13D workshop focuses on the 12 Dimensions, plus one that encompasses all other multidimensional, conscious awareness realities; as well as our extended chakra body system (Earth Star Chakra through the 16th), and extending to all layers that reside in our Auric Field. The Antakarana is activated in the workshops, extending all the way back to Mother-Father God. Master Kuthumi says, “The building of the antakarana is like laying a cable or bridge among three great countries (personality, soul, Monad).” NPMDT used to be called by another Multidimensional Healing name, a workshop which I first took in 2005. NPMDT is the highest form of vibrational healing on the planet at this time, and is available to everyone. NPMDT Workshops are awareness and conscious raising opportunities, elevating thought to release all negativity and everything that no longer serves the highest good. Activating this vibrational frequency energy often creates pathways to healing, including character strengthening through personal mental, emotional, physical, and spiritual growth on multidimensional levels. All health, including our physical health, involves each and every one of these etheric chakras and dimensional layers. Anyone with questions and who is interested in taking any NPMDT workshop may email me at: linhourihan@yahoo.com. I AM a member of the Americas Association of the New Paradigm Multidimensional Transformation. I AM an international Holistic Health Counselor/Practitioner (HHCP), having graduated from the American Institute of Holistic Health and Wellness in 2005, studying under Dr. Dolores Seymour. The American Institute of Holistic Health & Wellness is accredited by the American Association of Drugless Professionals, and the National Accreditation and Certification Board. This is a lifetime and international certification. I have studied extensively in the fields of holistic health in mind, body and spirit which naturally includes counseling on all life issues, and bodywork. This blog addresses mental health, physical health and spiritual health. There are drugless therapies that work very well most of the time when applied, and have no chemical side effects, obviously, except when they are not followed. I AM a former member of the Branford Hall Career Institute Advisory Board; and former owner of The Massage Clinic, LLC. I AM trained in M.I.N.D.S. Holistic Alternative Psychology, with an emphasis on methods, individualized plans of action, fostering the ability of the individual to reach his or her highest potential physically, emotionally and spiritually; with advanced perspectives of positive personal growth, changing attitudes from negative to positive; enhancing intuition and self-discovery through creative endeavors, and improving health as impacted by psychological states. I work with M.I.N.D.S. Wellness & Body/Mind Consciousness, which features positive self-analysis/awareness, self-control development programs, conditioning the healing mind, controlling mood swings, anxiety, avoiding depression and raising self-esteem to its highest level. M.I.N.D.S. Meta-Psychology is person centered rather than technically oriented, and focuses on psychological health, consciousness, human possibilities, and challenges of body, mind and spiritual development. A person cannot heal in any program void of attention to their own spiritual development. As a matter of fact, many mental and physical ailments can be rooted when spiritual sickness is at the root of the problem. Improves the motion of blood, warms the blood and enhances whole body circulation. Stimulates appetite, sexual function, assimilation of nutrients and digestion/elimination. Accelerates metabolism, weight loss, decreases need for sleep. Bolsters the immune system by reducing cortisol, a known inhibitor of cytokine production. Develops dexterity, reflexes, and prevents osteoporosis in clinical studies. Opens arteries allowing greater brain-based microcirculation to prevent Alzheimer’s disease. Enhances mental acuity, focus and concentration. The Qi (chi, life force, prana) draws focus and trains the mind. Helps us to calm down, relax and become more peaceful. Focuses mental, physical and spiritual energies together as one. This particular Qigong Class included a food component, tying the energy of food to the energy of Qigong, and using food as medicine. Chemical medications attempt to mimic the benefits and properties of organic plant life, including fruits and vegetables and using their stems, spores and seeds. Clinical studies have been done on so many diseases, like diabetes, which can be reversed by eating certain foods high in phytochemicals. I wish to share the information I have learned about how foods work to heal our bodies. I AM a 2001 graduate of the DoveStar Institute of Holistic Technology, specializing in body and energy work. It was there I was trained as a Master Reiki Teacher, and taught Reiki all over New England. However, I no longer practice Reiki as its scope and vibration is limited in time and energy, now that 13D New Paradigm Multi-Dimensional Transformation is available. I Am now retired from bodywork, currently teaching NPMDT classes, and focusing on my online outreach to the world through my blog, ENLIGHTENMENT RAYS OF LOVE AND LIGHT. Jesus also speaks through the Nag Hammadi Scriptures, especially the Books of Enoch, which I share here. I AM also a former Master Catechist in the Catholic Church studying with priests and bishops, and having taught religious education to children and adults for 26 years; and former feature writer with the Milford Daily News, Laconia Daily Sun, and author of “The Virtue of Virtues,” and “Mystery of the Sturbridge Keys.” I AM also published in the book, “More Weddings, Funerals And Rites of Passage,” subtitled “More Sample Ceremonies for Celebrants, Officiate and Ministers” by Rev. Amy E. Long. I AM among the contributing authors. Now this blog is my legacy, a healing gift to the world in need of hope, kindness, empathy, compassion, encouragement, truth, faith, light and love from the Good God above, the Mahatma love without conditions energy. In the meantime, here we all are, some of us hurting in one way or another, others of us have questions, or are simply need encouragement. There are natural remedies out there without horrific side-effects. I will share common sense solutions that work naturally. It is amazing how many of these healing remedies work with the thought processes of the mind, one of our most powerful God-given gifts we have. I will make no suggestions to any chemical solutions. I refer all who seek such remedies to see their own doctors. I share my life’s journey. The answers I have uncovered may surprise you. In my life’s physical work, some clients were referred to me by doctors prior to their patient’s surgery, only to find that the surgeries were no longer needed after the massage bodywork therapy protocol. I have personally successfully helped people eliminate pain associated with: migraine headaches and sciatica; and neck, shoulder, arm, back, hip, leg and feet pain. Massage therapy should be the first protocol for muscle pains in the body, addressing pain by the least invasive method of treatment first, and prior to chemical medicinal approaches, which often have negative side effects. I operated by own business for 12 years in New Hampshire and Connecticut, and personally worked on more than 5,000 of the 8,000 clients who came to The Massage Clinic LLC for help. I believe Eastern Medicine (naturopathic and homeopathy) and Western Medicine (surgery and drug therapy) ought to work together, as in complementary approaches, rather than the alternative approach, which implies one medicinal approach over the other. Both systems need each other to be whole. Most modern healing facilities have integrated both approaches very well. Mental, emotional and spiritual crisis is often at the root of physical illness. Addressing the realities of our lives, with a direct approach and a vision for wellness and health is the key for healing. Focusing on healing leads to healing. Focusing on illness keeps people ill, mentally, emotionally, spirituality and physically. Since people’s spirituality is part of their whole health and well-being, I became a Universal Life Church minister to better understand all faiths. Interfaith seeks to find methods so that each can relate to the other in a positive manner. Interfaith is a process where people committed to their respective religions and spiritual paths meet for the purpose of mutual understanding, appreciation, and enrichment. Interfaith dialogue is open and respectful, not confrontational or hateful. I choose not to be called reverend, since Jesus tells us not to be called Rabbi, Teacher or Leader, or any other religious title. I state that I AM a NPMDT Master Teacher to designate the work I do, not a title I carry before my name. I do the work Jesus taught us to teach and pass on to others. My calling in this life is modeled after that of Jesus, who did not have a church, and went out to where the people are. Jesus and his mission have been maligned and manipulated by many religious and political control systems since he arrived some 2,000 years ago. There is more Jesus taught and more for you to know. 13D NPMDT includes this information I wish to share. Today, most people are online, thus the impetus for this online blog. Please feel free to leave comments. Click on the light gray line that says to leave a comment, at the top left of each post. Jesus’ “New Way,” is one of peace, love, forgiveness, kindness, empathy compassion and joy. 13D NPMDT teaches LOVE WITHOUT CONDITIONS. That is what this blog is about. This blog allows me to share what has helped so many people. I Am that I Am, also continuing to bloom where I am planted, in the garden of life, sharing the healing rays of LOVE and LIGHT. MYSTERY OF THE STURBRIDGE KEYS Is Now Available ~ eBOOK and SOFT COVER! ENLIGHTENMENT RAYS OF LOVE AND LIGHT Create a free website or blog at WordPress.com.